You show up to a tattoo parlor debating whether or not you should get an infinity sign placed on your wrist. It’s always had a symbolic meaning to you, friends, and family. You’ve been waiting your whole life to get this incredible design placed on your body. You ask, “Should I really have an infinity sign printed on my body for the rest of my life?” You end up inking yourself either way. You had just turned 18 the week before and you are already doubting the decision you made. Darien High School senior recently got a tattoo “while doing college tour in California before my eighteenth birthday”. The student alway enjoyed the idea of having a tattoo that represented a piece of herself. “It was kind of spontaneous, but it was still a good experience”, she said. A recent study provided by Pew Research Center discovered that of the “nearly 2.700 people we surveyed, 12% reported having a visible tattoo that can be seen by managers and co-workers during the workday”. Pew Research Center surveyed adults between the ages of 18 and 29 have at least one tattoo/body piercing in visible areas. If one is planning to get a tattoo, make sure that the tattoo is placed in a hidden area. Areas like this would be ribs, thigh, back, or any other area that is covered by clothing. 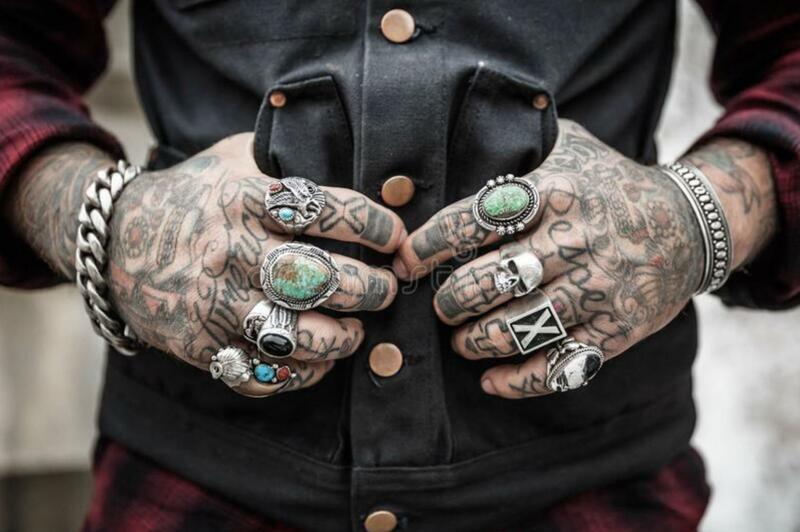 Employees with tattoos and piercing in visible area “reflect poorly on their employers”. Teenage rebels don’t realize the future risks they are placing themselves in. “76% of respondents feel tattoos and piercings hurt an applicant’s chances of being hired during a job interview”. Not only do tattoos affect future job opportunities, it also affects one’s health. In an article written by the Mayo Clinic Staff titled Tattoos: Understand Risk and Precautions, the writer presents the information that, “Tattoos breach the skin, which means that skin infections and complications are possible” These complications include allergic reactions, inflammation, bloodborne diseases, MRI complications, and tattoos can also lead to keloids (raised areas caused by an overgrowth of scar tissue). Countless students at DHS color their hair to improve their appearance, but some don’t realize that those innovative styles can lead to unexpected results. Author Ishani Roy writes for International Business Times, Can Hair Color Affect Career? Woman Dyes Hair To Succeed At Work explaining how dying ones hair can affect one’s future more than one thinks. Roy mentions, “If you have extremely bright hair or an unusual shade of bright-colored hair, your potential job employer may develop an unfavorable opinion about you instantly”. The idiom ‘don’t judge a book by its cover’ comes into play when bosses judge work candidates on outward appearance alone. Sophomore Julia Lucak colored her hair a lighter shade and placed highlights. Along with getting tattoos, coloring one’s hair is a way to express oneself. 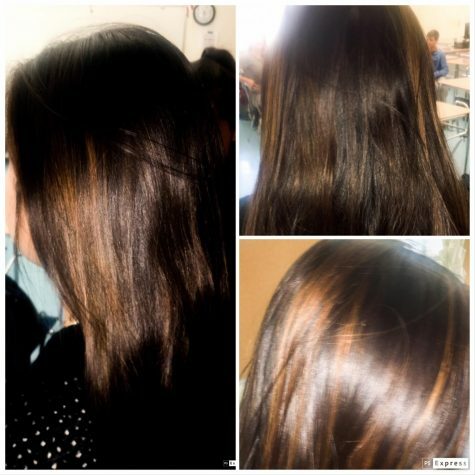 Sophomore Julia Lucak dyed her hair for the first time in the winter of 2016, “I dyed my hair lighter because I wanted to see the details in my hair styles”. Before 2016, Lucak’s hair was naturally black. She dyed it that winter to embrace the creativity in her hair styles, which couldn’t be shown through her highly dark, natural hair. Sophomore Valeria Henao also dyed her hair in eighth grade because “I wanted to try something new and I thought it would look cute and cool”, she mentioned. Henao enjoyed having different colored hair at the beginning, but after awhile she did not enjoy how “my hair got really crispy and hard to brush” she said. At a young age, Henao was not thinking about how getting her hair dyed would cause a large impact. “I didn’t think that dying my hair would be such a large impact, it’s just something else that people like to do”, she said. There are many other students who dyed/continue to dye their hair including sophomore Melanie Espitia. Almost two summers ago “I put in a spray to make it (hair) lighter and it reallydiscolored my hair”, she said. Espitia wanted “something new for a change, my hair was so dark, kind of got boring”, she mentioned. At the time, Espitia was not thinking about how coloring her hair would make an impact on future careers. Now she realizes that she wouldn’t have placed those products in her hair due to the large amount of discoloration. First impressions play a large role on being hired. Lyndsey Jackson writes Can Your Hair Colour Affect Your Job? for Carrier Addict. Jackson mentions a survey taken from National Association of Colleges and Employers, “Non-traditional interview outfit-82%, Handshake-74%, Unusual hair color-73%, Unusual hair style-64%, Body piercing-72%, Obvious tattoos-69%”. These statistics represent how specific changes to one’s appearance could have a negative effect on one’s success at a job interview. There are innumerablerisks that come with placing tattoos or dying ones hair. Hair dye and tattoos at a young age can expose oneself to negative criticism/commentary. One may not realize the problems that may occur in one’s future. So the next you are about to walk into the tattoo parlor or hair salon, think about how inking your body or hair may negatively impact your future.